Impact Hub Budapest, Ferenciek tere 2. 1st. floor, 60 bell. A workshop is about development of some local narratives on air pollution and sensing that we intend to use for framing/communicating the local needs. We start a discussion with local knowledge representatives who would take the ownership of air sensing. Science Café on Ionizing Radiation Sensing: We will talk about the state of art methods of ionizing and background radiation detection. How citizens could be involved in radiation sensing through a ‘crowdsourcing’ model of data collection (Citizen Radiation Monitoring – CRM)? Science Café on UV Radiation Sensing: In 2016, SOLaware Technologies was started with the mission to raise awareness about sun exposure via digital technologies. The SOLaware Display is a modular sun safety education system that informs about local UV levels, educates about preventative sun safety steps, and provides protection through on-the-spot access to sunscreen to help lower the risks of sunburns and skin cancer. Hackathon aims to get a better picture of air quality in Budapest by using the currently available IoT, community mapping and sensor technologies. HUMAN SENSING Hackathon is involved with mentors and finds out their project idea during a guided-completion process. The specialty of the event is that each team gets the same air quality sensors and raw materials, and their creative ideas depend on the solution they use for them. 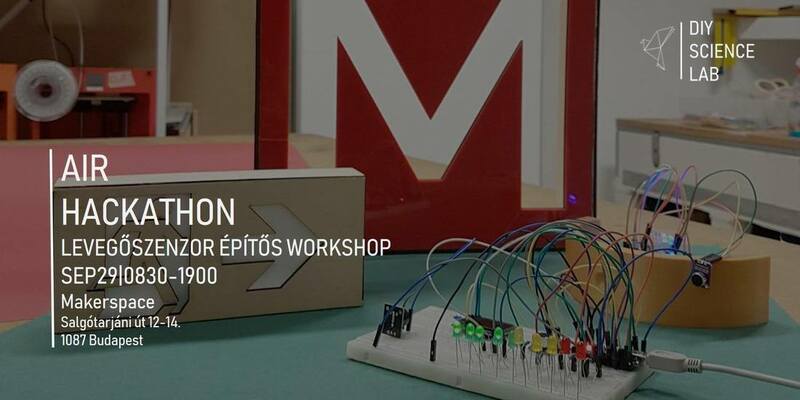 The event is organized on September 29 at the workshop of Makerspace.hu, which provides an inspiring site for designing. The tools and technical assistance needed to create prototypes (own illustrative materials) are also available. We invite young creative developers, artists, designers, designers, IT and business professionals, university students or researchers who are sensitive to the air quality health problems of urban life and are ready to work in a team and make it great and useful within 8 hours. We are looking for community and technology solutions to understand urban noise and issues related to quiet areas. We build on the knowledge and needs of civilians, residents and experts in the spirit of open and participatory planning. On August 24, 2018, at 17h-20h we organize our story / narrative development workshop at Makerspace.hu. We work together with the participants to draw up a script of a community mapping action. This script will be used as a starting point for "Quiet places around us" - Action Design and Prototyping Hackathon next day. Whether you are a city citizen or a community representative or a researcher and you think, it is important to protect our quiet places in the city, sign up and share your ideas at the very first steps of our co-design process! Hackathon aims to get a better picture of our quiet places in Budapest by using the currently available IoT, community mapping and sensor technologies. HUMAN SENSING Hackathon is involved with mentors and finds out their project idea during a guided-completion process. The specialty of the event is that each team gets the same sensors and raw materials, and their creative ideas depend on the solution they use for them. We invite young creative developers, artists, designers, designers, IT and business professionals, university students or researchers who are sensitive to the environmental health problems of urban life and are ready to work in a team and make it great and useful within 8 hours.